This article appeared in Symphony, the magazine of the League of American Orchestras. It wasn’t the kind of concert that receives glowing press or even a sellout crowd, but the Pittsburgh Symphony Orchestra’s June 27 performance was deemed an auspicious success by its organizers. 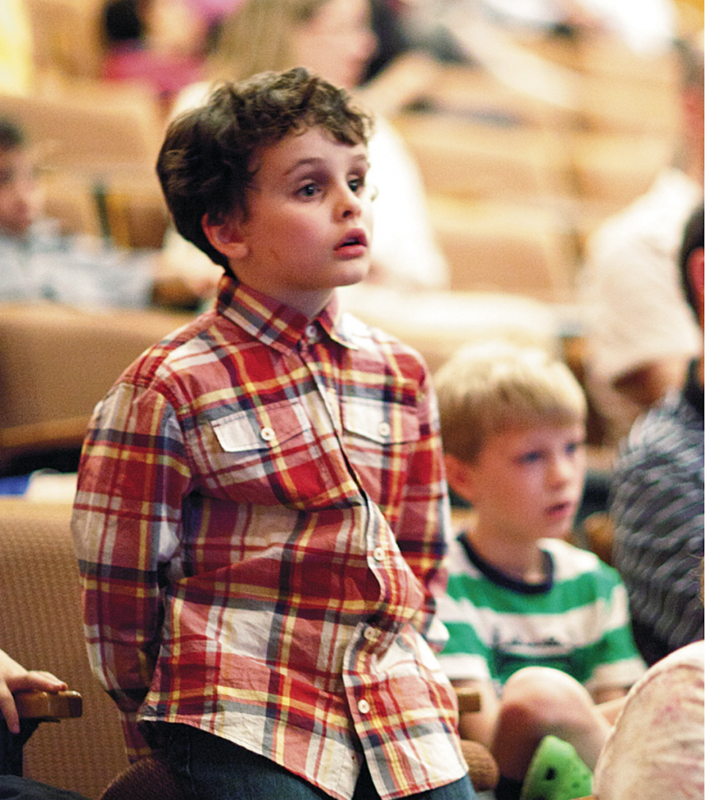 This was the Pittsburgh Symphony’s first sensory-friendly performance—a concert designed specifically for families affected by Autism Spectrum Disorder (ASD), which involves, among other things, a hypersensitivity to light and sound, as well as for those with sensory sensitivities and other disabilities. The single event—of mostly pops-style pieces including Rossini’s William Tell Overture and Rimsky- Korsakov’s Flight of the Bumblebee—drew $75,000 in funding. Pre-concert materials designed to familiarize concertgoers with the experience in advance included a story about attending performances at Heinz Hall, a musical playlist on Spotify, and introductory videos. Some $5,000 worth of free tickets were distributed through a variety of support organizations for families in need. While attendance was a relatively modest 850 patrons, symphony officials noted that it was comparable to other arts organizations’ sensory-friendly events, and bad weather may have kept some concert-goers away. An orchestra spokesman said feedback from board, staff members, musicians, and some 50 volunteers had been overwhelmingly positive, and a similar event is planned for next year. The Pittsburgh Symphony is one of a growing number of American orchestras that have responded to calls from autism advocates to provide sensory-friendly concerts. Many orchestras see these as a way to connect with overlooked segments of their communities and become more inclusive. The concerts also mirror a belief that people with disabilities can be better served overall: while disabled adults comprise nearly 12 percent of the U.S. adult population, they represent just under 7 percent of all adults attending perform- ing arts events, according to the National Endowment for the Arts. To make a performance autism-friendly, several aspects of the concert experience are modified. House lights are typically kept on at 30 to 50 percent of their full power, and music is modified to temper loud sounds. Concert halls often are set up with a quiet area adjacent to the lobby for audience members who are over- stimulated and need a break. Some also set aside open space at the front of the house, where patrons are encouraged to move about freely as needed. Still, guidelines are a work in progress, and some arts groups have grappled with how to serve a wide spectrum of people with autism. 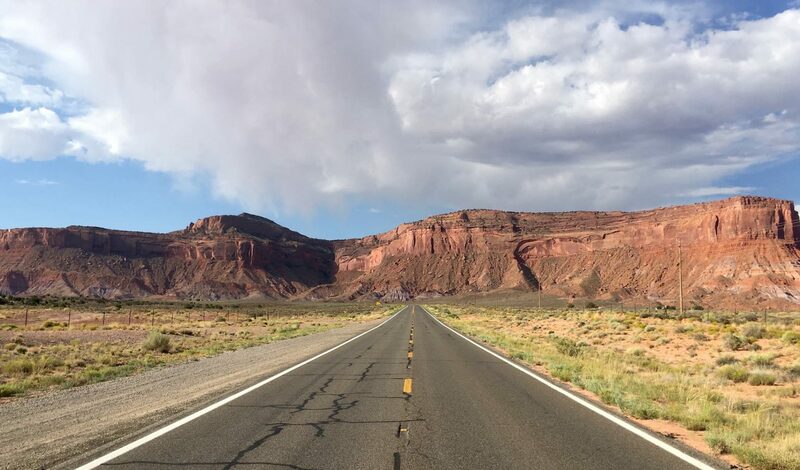 “Disability-friendly programming goes beyond wheelchair entrances,” says Robert Accordino, a physician who in 2007 founded the U.S. branch of the nonprofit organization Music for Autism. “Catering to these families is in some ways the most challenging. It’s not a one-size-fits-all model. 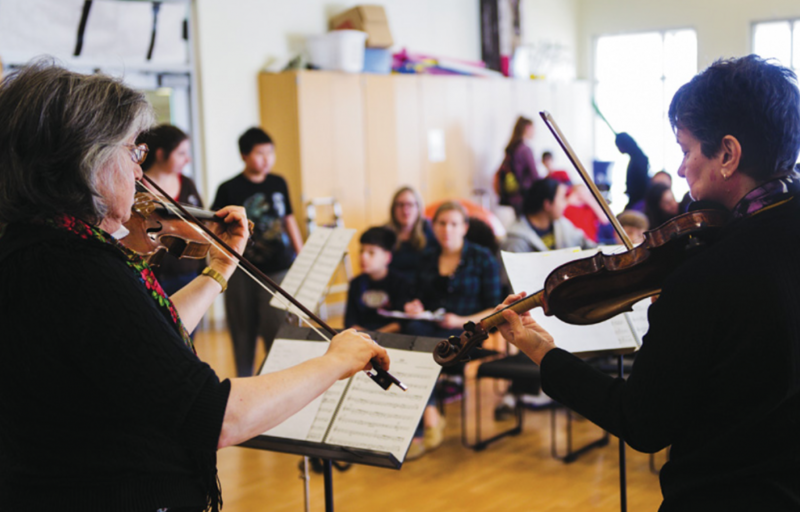 This challenges us to think differently.” Music for Autism organizes about 35 concerts annually in New York, Maryland, California, and Texas, using professional musicians. The organization’s mission is to enhance quality of life and raise public awareness through autism-friendly, interactive concerts developed for individuals with autism and their families. It is one of several nonprofits with which arts groups have partnered to develop targeted programming; other organizations include Autism Friendly Spaces and The Musical Autist. Beyond determining how to develop sensory-friendly concerts lies a more fundamental question of why. Kennedy Center officials regard these concerts as critical to its extensive menu of disability programs, particularly as the national autism rate climbed in 2014 to one in 68 people, according to the Centers for Disease Control and Prevention. This reflects a 30 percent rise in just two years, though it is unclear exactly how much the increase is due to a broader definition of ASD and better efforts in diagnosis. Not surprisingly, orchestras are more likely to embrace sensory-friendly concerts when a musician or staff member has a personal commitment to the cause. Holly Hamilton, a violinist in the National Symphony Orchestra who also works with Music for Autism, initiated the Kennedy Center’s efforts after taking her son, Clark Patterson, who has an intellectual disability as well as visual and hearing impairments, to her own performances at Wolf Trap National Park for the Performing Arts in Virginia. Perhaps the most extensive autism-friendly orchestra series takes place at the New Jersey Symphony Orchestra, which also serves a state with the highest reported rates of autism, at one in 45 children. The New Jersey Symphony launched a series of chamber music concerts in 2012 that now involves seventeen performances at ten partner schools and community centers. Last season, it reached 1,600 people across two counties, according to Marshell Jones Kumahor, the New Jersey Symphony’s vice president of education and community engagement. This reflects the orchestra’s mission to serve the entire state, she says, and to develop stronger ties with other arts and community groups. The New Jersey Symphony Orchestra’s program started with a request from a longtime subscriber who said that her autistic son was held “rapt” by the sound of an orchestra. After some exploration of the topic, the orchestra formed an eleven-member advisory group to study the issue, and it raised seed money through a $15,000 Getty Education and Community Investment Grant from the League of American Orchestras (funding is now provided by the Healthcare Foundation of New Jersey and Johnson & Johnson). Jones Kumahor says the orchestra regularly surveys its audiences through its partner organizations, which include schools and learning centers in Newark, Irvington, and Montclair, New Jersey. Unlike some arts groups, which have focused on the most “high-functioning” end of the autism spectrum, Jones Kumahor notes that the NJSO has sought “to serve as wide a range as possible on the spectrum,” which makes for a greater challenge as the lower-functioning listeners tend to have little or no language, greater mental challenges, and little awareness of people or social expectations. So far, 26 out of 53 members of the orchestra have given chamber music concerts at schools and learning centers as part of the program. Taken as a whole, there’s a considerable variety of approaches in autism-friendly programming, even as certain parameters remain constant. During a tour to China in 2013, a group of musicians from the Philadelphia Orchestra performed for some 20 children with autism at a youth center in Shanghai. The Philadelphia Inquirer reported on a “version of Beethoven’s ‘Ode to Joy’ on trumpets and a surprisingly inventive ‘Amazing Grace’ by a young man whose left hand played piano while his right played a battery-powered organ.” During the orchestra’s 2014 China tour, Philadelphia musicians worked with students from the Sound of Angel Salon, an orchestra that trains children with autism to engage with their surroundings through music. The young musicians also performed for an audience that included Philadelphia Orchestra Music Director Yannick Nézet-Séguin, who conducted the students in an impromptu performance. 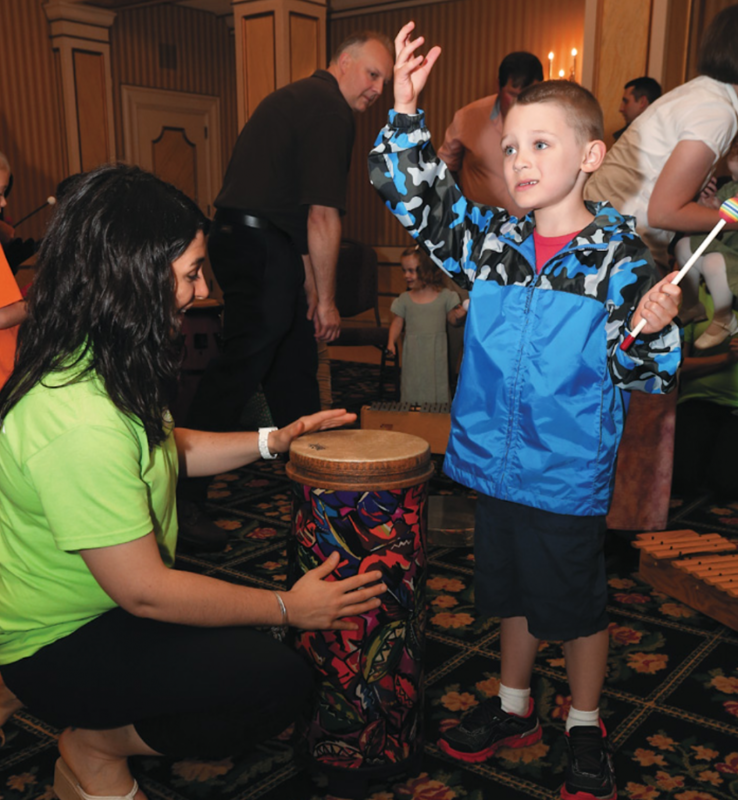 More recently, and on a different scale, Gannon University’s Erie Chamber Orchestra in Pennsylvania held a weeklong festival in April dedicated to music therapy, with a special focus on children with autism. The festival featured workshops, lectures, and an orchestral concert, “Burden of Genius,” led by Erie Chamber Music Director Matthew Kraemer and consisting of works by composers with neurological issues (including Beethoven, Schumann, and Hugo Wolf ). Events included therapy sessions and in-service presentations for therapists/educators at Barber National Institute, which is based in Erie and serves people with disabilities; a radio broadcast on Erie-based NPR affiliate WQLN; and a science-and-music presentation at Gannon University. The festival was part of an ongoing partnership between ECO and the Barber National Institute established in 2013. Elsewhere, the Madison (Wisconsin) Symphony, New Mexico Philharmonic, Colorado Symphony, and Los Angeles Chamber Orchestra are among the orchestras to explore autism-friendly programming. Other corners of the classical music field have taken notice. The Boston Conservatory in 2014 announced a graduate-level music education program dedicated to providing training in music education and autism, believed to be the first of its kind, and leading to a master’s degree and a graduate certificate. And Lincoln Center’s education department has commissioned Up and Away, its first original work specifically for young audiences on the autism spectrum, featuring the Trusty Sidekick Theater Company. Loosely inspired by Jules Verne’s book Around the World in 80 Days, the musical theater piece had a run of previews in the spring and is slated to premiere at Lincoln Center’s Clark Studio Theater this fall. These efforts come at a time when some campaigners see sensory-friendly events not simply as entertainment but as platforms for self-advocacy, a notion closely tied to neurodiversity—the theory that people with autism shouldn’t be forced to fit into society, but that society should change to include and accept them. C. J. Shiloh, the director of the Musical Autist organization, has gone so far as to describe sensory-friendly performances as a form of “social justice” for a badly marginalized population. Some parents, however, are simply pleased to be out as a family among like-minded audience members. Attending an autism-friendly performance at the New Victory Theater in Manhattan in March, Lisa Quinones-Fontanez, said she had long shied away from taking her nine- year-old autistic son Norrin to a theater. “It’s always been difficult to navigate a regular show just because I don’t want to disturb other people,” she said. “It can be stressful, it can be overwhelming for him.” Nearby, a family relaxed in a “calming corner.” Quinones-Fontanez praised the theater’s presentation—everything from the ability to preview seats beforehand to family bathrooms, which allow parents and children to remain together.